Thermal jugs, often known by the brand name Thermos, have insulating properties to keep your favourite drinks hot or cold. Some jugs come with a "pump" system, to make it easier to pour the coffee. You simply press down on the top of the jug to pour the drink. The most widely used insulation systems are the stainless steel double wall (a great option, as it is strong and sturdy) and glass insulation (known for being a slightly better insulator but much more fragile). 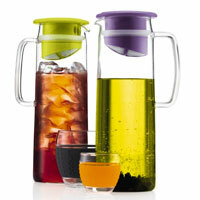 The thermal jug is a must-have, environmentally-friendly product, found both in domestic and professional settings. Find yours on MaxiCoffee now! 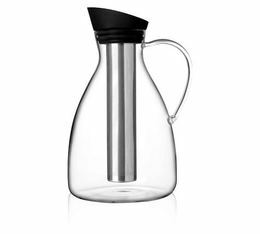 Dan insulated jug in black by Alfi with 1L capacity. This jug ticks all the boxes needed for an excellent insulated jug. Made in Germany. 5-year guarantee.